2. Get your smoker, brush, knife, hive tool, plastic containers with lid. 7. If your bars are glued together with propolis, use your hive tool to harvest you propolis, first. 8. 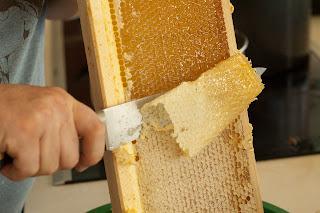 If your combs are capped, harvest by brushing the bees to the side before harvesting your capped comb. 9. 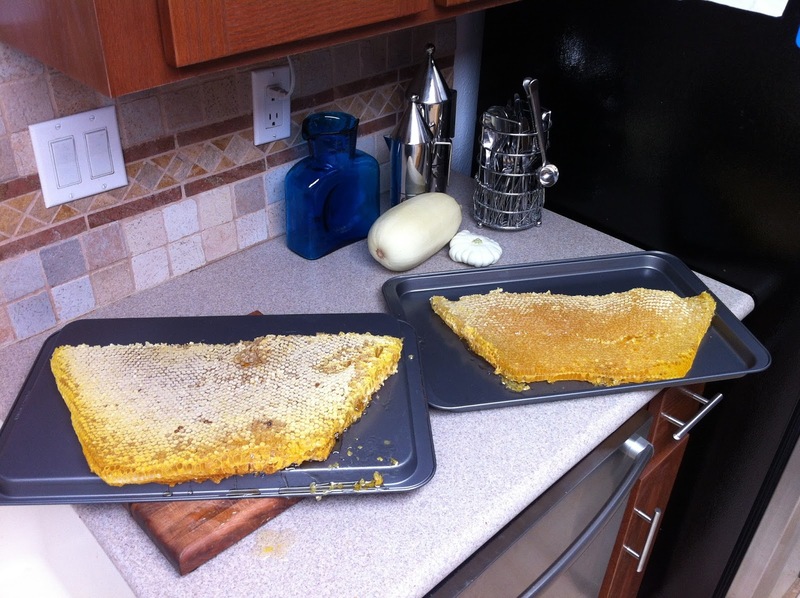 Make sure you leave between one to two centimeters of the honey comb on the top bar to avoid making the bees hungry. This will also serve as a guide for the bees to build upon. 10. Close your hive carefully. All operation under harvesting must be done with swiftness and during the early morning or towards evening.  More and more people are getting to know the usefulness of beekeeping and advantages of honey.  What is more important now is to produce what will be enough for our consumption because Africa is still importing honey. There is a great demand for Africa honey if international standard is followed. The reason for this is that the vegetation and environment are not as polluted as obtained in the developed countries. Another reason is that honey from the tropics has special attractive odor superior to the one from non-tropical regions of the world. The first step for the sale of any product is to find out what the major and minor buyers are looking for. This may be obtained from standard setting organizations in the country of interest.  One needs to know the sources of your honey to determine the color, taste, viscosity and aroma.  There must be relationship between what the consumers want and what type of honey to supply. 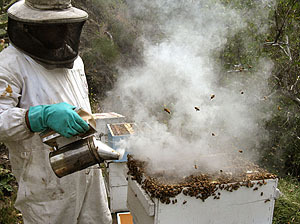  Process honey as soon as possible after harvesting. Honey processing is a sticky operation, in which time and patience are required to achieve the best results.  Honey is a food and it must therefore be handled hygienically and all the equipments must be perfectly clean.  Honey is hydroscopic and will absorb moisture, therefore all honey processing equipment must be perfectly dry. Too much water in honey causes it to ferment. 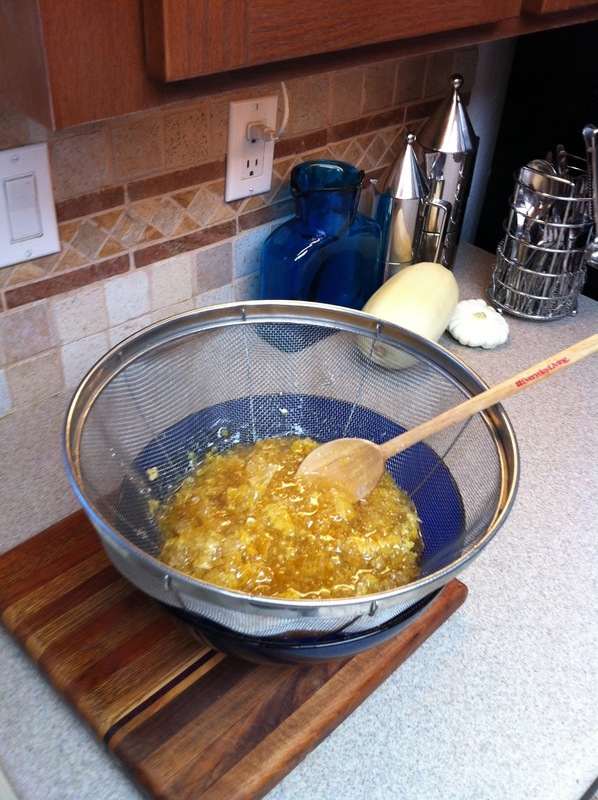  Remove the wax capping from the honey combs with a long sharp knife which has been standing in warm water. 2. Source of the honey: e.g. sunflower, mixed blossom tree honey etc. The color, taste, odor or aroma and viscosity of honey are its most important features, but honey is often judged according to its color. The color of honey depends mainly upon the source of the nectar, plant sap or honey dew that the bees have foraged from. Usually, dark-colored honeys have a strong flavor while pale honeys have a more delicate flavor. 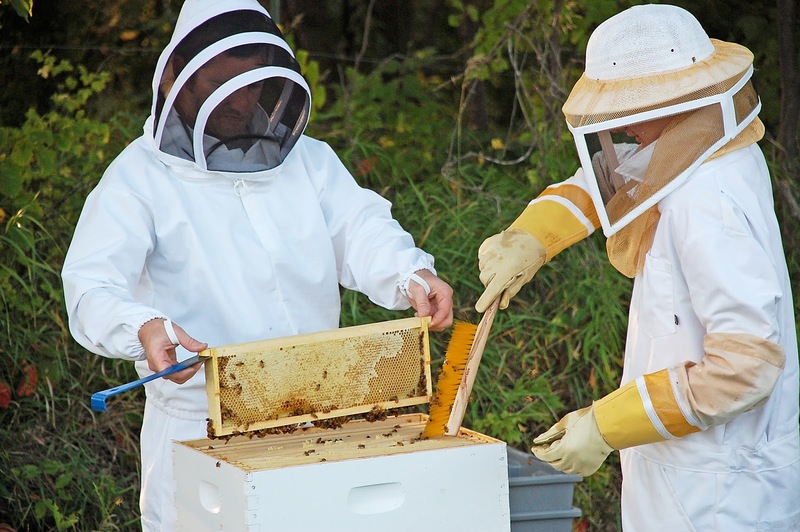 The popularity of dark and light colored honey varies from country to country, but generally light colored honey is more highly valued than the dark colored honey. Color can sometime be a useful indicator of quality because honey becomes darker during storage, and heating will also darken honey. However, some perfectly fresh, unheated and uncontaminated honeys can be very dark. of standard amber-colored glass. A scale on the instrument gives a numerical value for the color of the honey, and using this, the color category of the honey can be determined. Color descriptions range from white through shades of amber to dark. 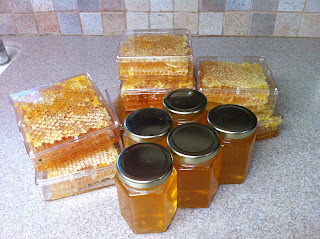 If the water content of honey is greater than 19% then the honey is likely to ferment. A low water contents is therefore most important. Water content can be measured using a honey refractometer, a small instrument which measures the refraction of light as it passes through a glass on which a few drops of honey have been dropped. HFM stands for hydroxymethylfurfural. This is a break-down product of fructose (one of the main sugars in honey) formed slowly during the storage of honey, but formed very quickly when honey is heated. The amount of HFM present in honey is therefore used as a guide to the amount of heating which has taken place, the higher the HFM value, the lower the quality of the honey is considered to be. Some countries set an HFM limit for imported honey (sometimes 40mg per kg), and honey with an HFM value higher than this limit will not be accepted. HFM is measured by various laboratory tests. Great job bro. I guess, since the topic is of three parts, you ought to have interlinked all the parts in each post of the topic.